Everyone knows that soccer, or football as it is mainly known in Europe, is a multi-billion dollar business. Together with football – as it is called in the US, or American football elsewhere, soccer is sport's top money earner. Besides ticket sales and broadcast rights, merchandise, video games, and other spin-offs generate millions of dollars annually for soccer clubs, often equivalent to the income of small nations. In parallel, the market for virtual reality (VR) continues to grow exponentially, with new uses being continually developed. Globally, the technology is predicted to be worth some US$44.7 billion by 2024, growing at a breakneck annual compound annual growth rate (CAGR) of 33.5% from 2018. Previously, the VR market was primarily focused on the vast and lucrative gaming sector, but new applications – from training simulations to psychotherapy – are appearing and redefining the potential of VR in our lives. 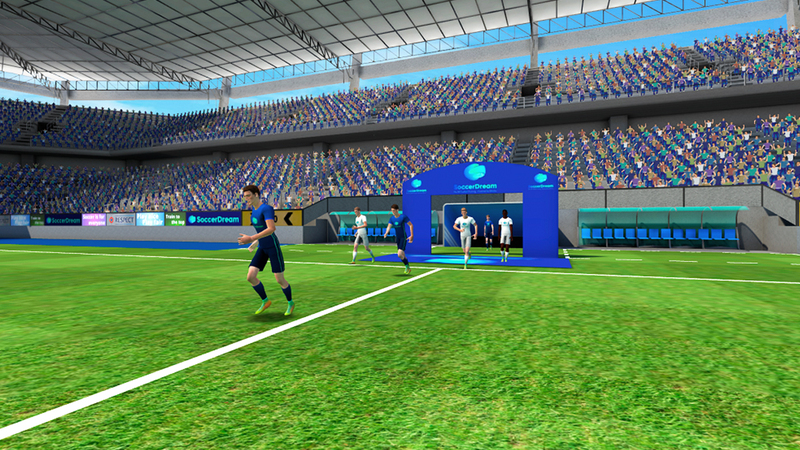 Now, for the first time, Barcelona-based SoccerDream has applied VR technology to the hitherto offline world of soccer training, worth an estimated US$50 billion worldwide, and has already attracted one of Europe's top teams, Inter Milan, as a customer. Instead of physical training, the program offers cognitive training and is backed by a rigorous study that found the program signficantly improves players' positioning on the field. 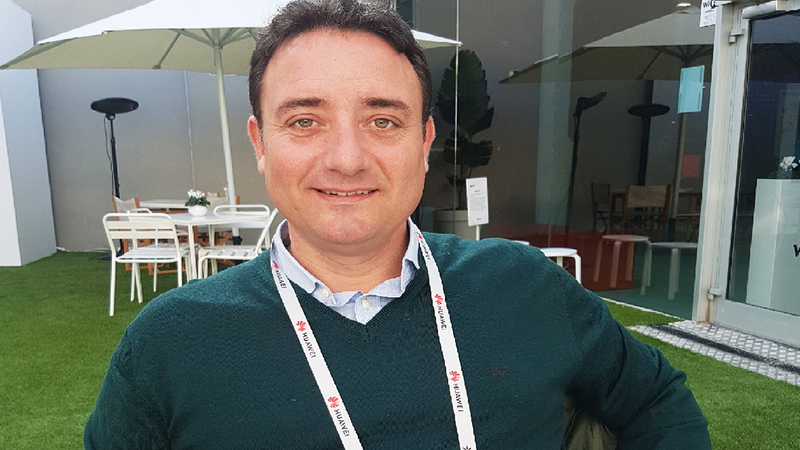 CompassList interviewed SoccerDream CEO and Co-founder Andreu Bartoli at Barcelona's recent Mobile World Congress about his new platform and its implications for the future of soccer training. Q. You have never worked in the world of soccer. Where did the idea for SoccerDream come from, pure passion? A. Definitely, soccer is my passion and I have always followed it, mostly as a fan of Barcelona FC as I am from Barcelona. My background is first, in engineering and then in business consultancy. About 10 years ago, I moved towards technology startups. The app I worked on before was for business-to-business (B2B) enterprise resources planning. I then wanted to build something around my passion and was introduced to my co-founders, the main one being Carlos Romagosa who had worked professionally in soccer for 30 years. He worked with the Barcelona FC Academy, "La Masia", for years, training players like Cesc Fábregas, Gerard Pique and Jordi Alba when they were 12 or 13 years old. Since then, he has been a professional football trainer and for the last three years, Technical Director at Paris Saint Germain. He has a deep knowledge of football training and I have a technology and business background, so we came together with a vision of how to bring this kind of cognitive – rather than technical – football coaching to the world. Were you always clear on your product being for coaching and B2B, and not a game and B2C? Why? Our vision has always been to bring the cognitive coaching that is used by top clubs, like Barcelona, to all the football academies around the world. We then thought about the best technology and decided on virtual reality. Then came the business model: how to get to academies, players and consumers directly. We first targeted clubs and academies and provided the platform for young players to train in-house and in their homes. Next, we thought of a spin-off platform that fans can use for clubs to monetize their fanbase. In this case, would the football clubs buy a license from you and pay a commission per user? Yes. To use it in-house, the clients pay an annual license fee of €10,000 plus a monthly fee of around €20 for each player or kid training at home, which we share with the clubs as part of our revenue sharing scheme. What technology do you use and is your VR technology compatible with all kinds of VR headsets? We built the software to be compatible with the two main VR platforms in use today: HTC Vive and Oculus. How long did it take to develop the platform and how many different tactics did you incorporate? Carlos and his partners have their own methodology, the Ekkono method, which develops the deep vision and cognitive abilities that players should have. This comprehensive methodology covers how to train players of different skill levels and ages and is recommended by players who trained with it, like Fábregas. Our platform synthesizes its main cognitive abilities that are of interest to young, amateur players all around the world, especially those applicable to our two main target markets of China and the United States. We first selected 100 cognitive abilities, grouped these into 10 fundamental areas, developed a number of drills for each area and then virtualized the training drills that players use. We don't have the full catalog of drills ready yet, but are continually adding to it. With SoccerDream, we define a single indicator to measure how decisions are taken on the pitch – what we call “football IQ”. There is a scoring system from zero to 100, which identifies how a player relates to teammates and to their average level or age group. This figure is based on a combination of how the player uses his abilities on the virtual pitch, makes decisions, and how good or bad these decisions are in terms of their value to the team. How does the program work? For example, does each player start out equally or is certain data required by the program in advance of using it? All players start equally. As they start training, the system quickly takes them to a point where it starts to be a challenge for them. What the program virtualizes are the drills – the same ones that players do on the field. With the headset on, the player visualizes the same decisions they would make on the field, for instance, who to pass to and when, where to go, whether to use a certain space. The program even virtualizes movement within that space so that the players don't have to start running around; he or she can be standing still with the headset on and move with a click of the controller. The other players appearing in the program, whether they are teammates or opponents, are programmed autonomously. This means players have to react and make decisions on their own play according to that particular session, like moving closer, further away, tackling, trying to intercept. The virtual player also makes these decisions autonomously, therefore players can do the same exercise or drill 1000 times and the experience will never be repeated because the decisions will never be the same. What technologies were used and how difficult was it to develop the platform? It's been a challenge and has taken a bit more than two years to complete: The first year we were mostly conceptualizing and defining the platform, and the second year was spent developing it. The main technology we use is Unity, the same platform used to build videogames. We built our own algorithms that let us move the players around, not only to be more realistic but also to optimize learning. We brought in expertise from outside for the pure programming and 3D design aspects. These people became a key part of the business because they are involved in the program's constant upgrading and bringing new techniques on board. The tactics or skills of the players are very intrinsic to each person and are related to how they process information and act on it on the field. An example of a fundamental skill is the ability to support your teammates. To do that, the player has to understand a number of things: when another player needs support, whether its best to move closer or farther away, whether to provide a risky passing line that progresses faster towards the goal or a less risky one that gives more team value. So, it's all these kind of things we are training. Players can also choose a certain area of play to focus on, like passing. The platform covers three big areas. Firstly, positioning to help the young players understand that there is a structure that should prevail. Secondly, the ability to identify the spaces that are generated on the field. Thirdly, reception or how to use the spaces to provide good passing lines to teammates. How is the program being rolled out initially and does it require training? We launched the first version of the product in summer 2018. Initially, we focused on capturing as clients a couple of the top clubs with people whose credibility will generate users in the market that we target. One client, Inter Milan, is using the program in their international academies, mainly in Argentina and in China. Another client, Luneng Taishan, the third biggest Chinese club, uses SoccerDream in their academy – the best in China. How the program is used depends on the academy. Typically, the kids use the program a couple of times a week for 10 minutes per session, and we have found that in a matter of weeks, they are already making better decisions on the field. The Chinese Sports Bureau even put your program to a scientific test, correct? One of our shareholders is Chinese headset manufacturer HTC, which became our investor after picking us to enter their four-month acceleration program in Shenzhen, China. We became very close as we share the same goal of dissemination of virtual reality in China. Together with Beijing Sports University and HTC, we conducted a research project at the Chinese Sports Bureau, which is akin to the government ministry for sports. The project lasted three to four months and proved that the kids training with SoccerDream were making a number of better decisions compared to the kids without this training, resulting in a 36% improvement in positioning. We took a scientific approach. The starting point was the same for the players, who were divided into a control group and an intervention group. They were assessed on a real field by independent coaches both before and after using the program. The findings were published in an official, government teenage sports magazine that is distributed to all local primary and secondary schools. When did you launch to market and how are sales? We launched a few months ago without any real marketing because we were focusing on getting a big name on board first. We have received leads from media attention, and we attend to them reactively, sending out a trial version, and we will continue to do so until we are ready for a full commercial launch in the future. For a large potential customer, we would deploy someone to the academies for a week to train them in using the program. Can you tell us about your financing to date? Have you received any grants and will you be holding any financing rounds in the near future? So far, we have raised around €500,000, some from HTC, some from the government, and mostly through angel investors who trusted us and the idea. We now have the 2019 budget basically covered and will seek a seed round of around €1–1.5 million at the end of this year or 1Q 2020 in order to undertake full commercial deployment in China and the US. There are many stereotypes surrounding soccer in the US, but soccer sports training is huge with four million young players between eight and 18 years old who are officially registered – more than in Spain, Italy, France and England together – and training is taken extremely seriously. The number is so high because females comprise 42% of the total players. On top of this, parents spend about US$4,000 a year per child on this training, way above Europe's €600-700. So, the US's soccer training market alone is worth US$16 billion a year – much more than Europe's. How big is your potential market? We estimate that the youth soccer training market worldwide is US$50 billion: US$16 billion in the US, close to that figure in China, and another third from the rest of the world. We also aim to be the platform that lets soccer clubs monetize their fanbase by offering training. This part of the business has not been developed yet. This is the first time someone has sought to exploit training outside of the actual physical academies. Being located in Barcelona means we are perfectly aligned to receive visitors who come from all over the world just for soccer. It is the perfect base for us to network.